Petite Schoolgirl // Dandelion - Wunderkin Co.
"The world is your to explore." 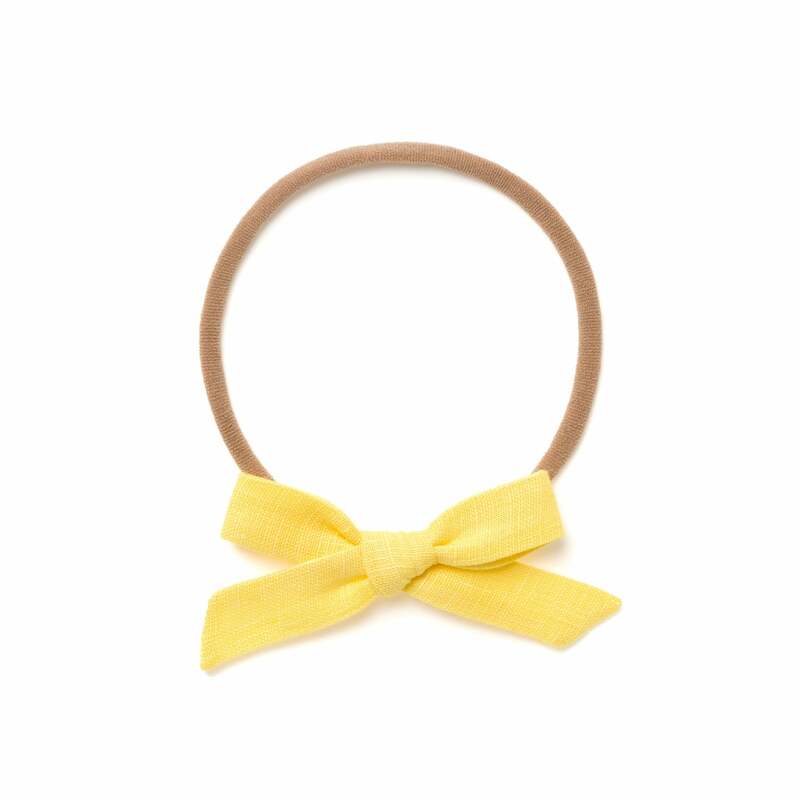 Handmade from soft linen, this classic petit schoolgirl bow is 1½ x 3½ inches long and is attached to your choice of a right sided alligator clip or a one size fits all headband made to fit your little one's head securely yet comfortably. Check out our bundle code listings for savings when you buy three or more.